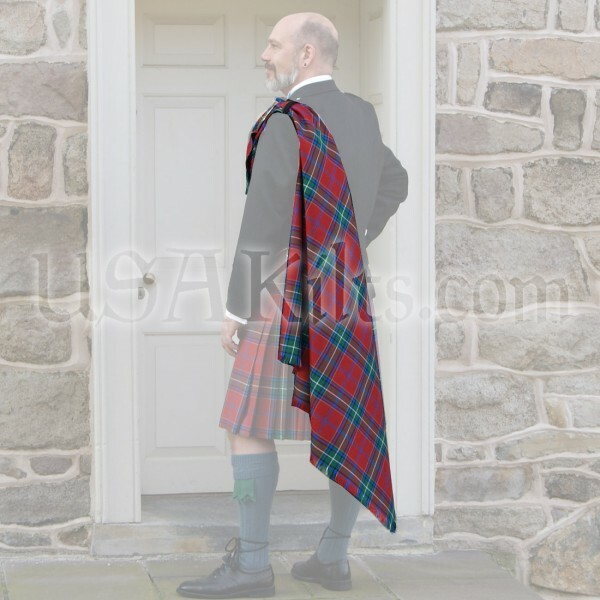 The fly plaid is the "cape looking piece of cloth" that goes over the left shoulder of the wearer. 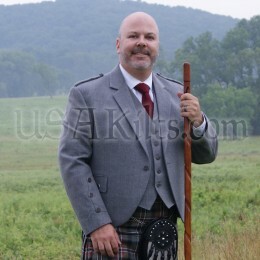 It is a simple square of cloth, typically 46" X 46", with fringed edges and a box pleat sewn in one corner. 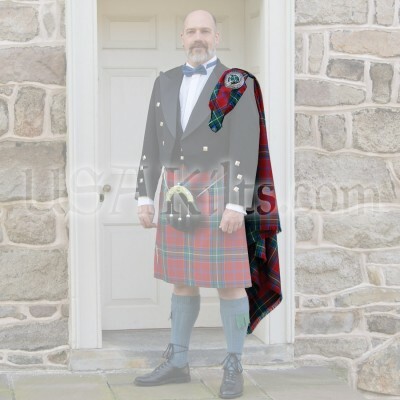 The modern fly plaid originated with the traditional Féileadh Mòr (Great Plaid) worn in the Scottish Highlands. 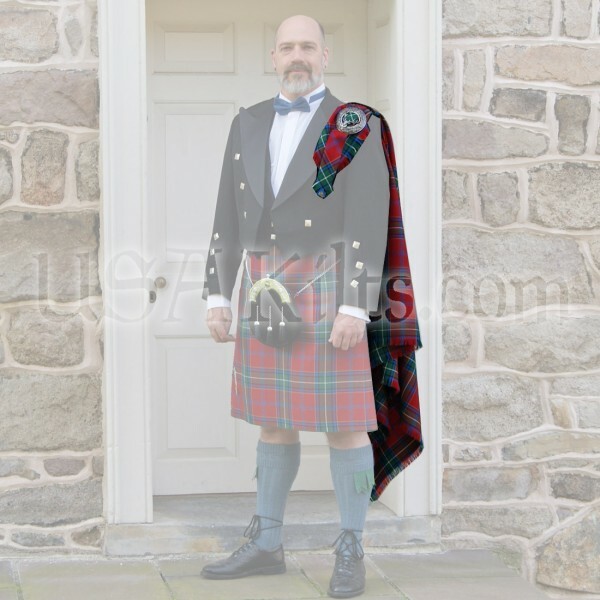 The Great Plaid was a large piece of cloth, which by the 16th century measured up to 8.2 metres (9.0 yards) in length, half of which was pleated and belted about the waist, while the upper half was draped over the left shoulder, was then gathered in front and could be used as a cloak and hood during inclement weather. 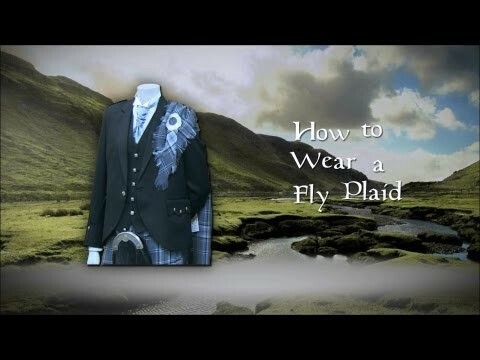 The fly plaid harkens back to that garment and was introduced in the 18th century when fashion dictated a switch to the modern kilt. 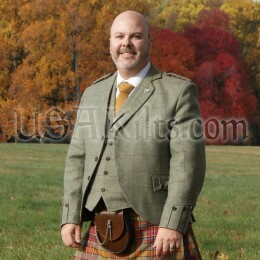 The fly plaid replaced that portion of the Great Kilt that was draped over the shoulder. 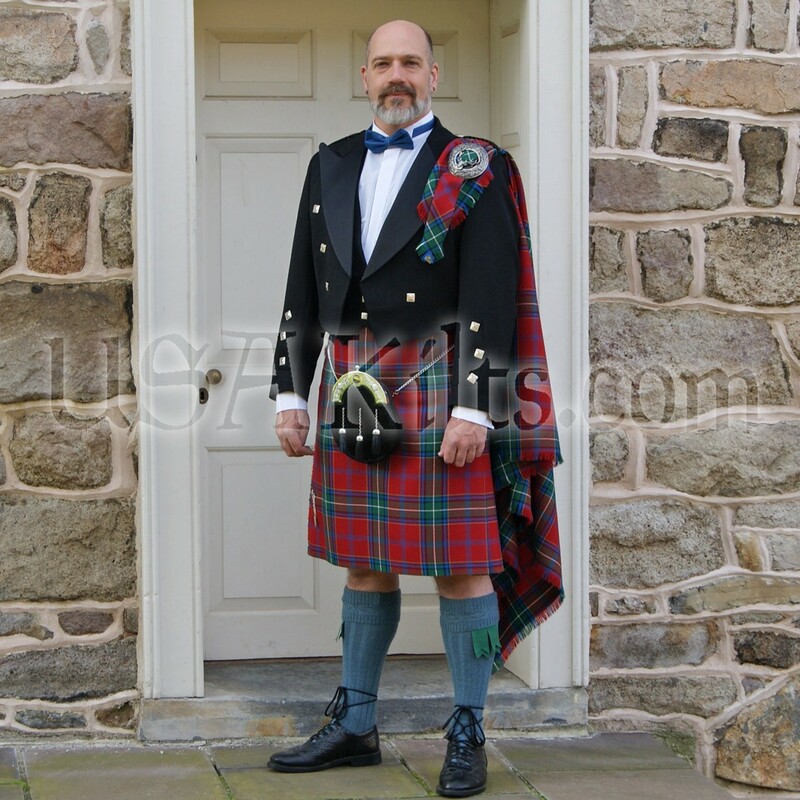 It is always worn in the same tartan or colour as the modern kilt, and should be made from the same fabric so that the sett and colours match exactly. 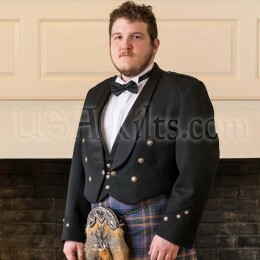 It is typically worn only for formal functions and is paired with a jacket and vest and a plaid brooch. Amazing quality, simply a must when ordering your family tartan for when it is needed on random formal occasions.